From time to time, you may need to update your AgencyBloc login info and password. 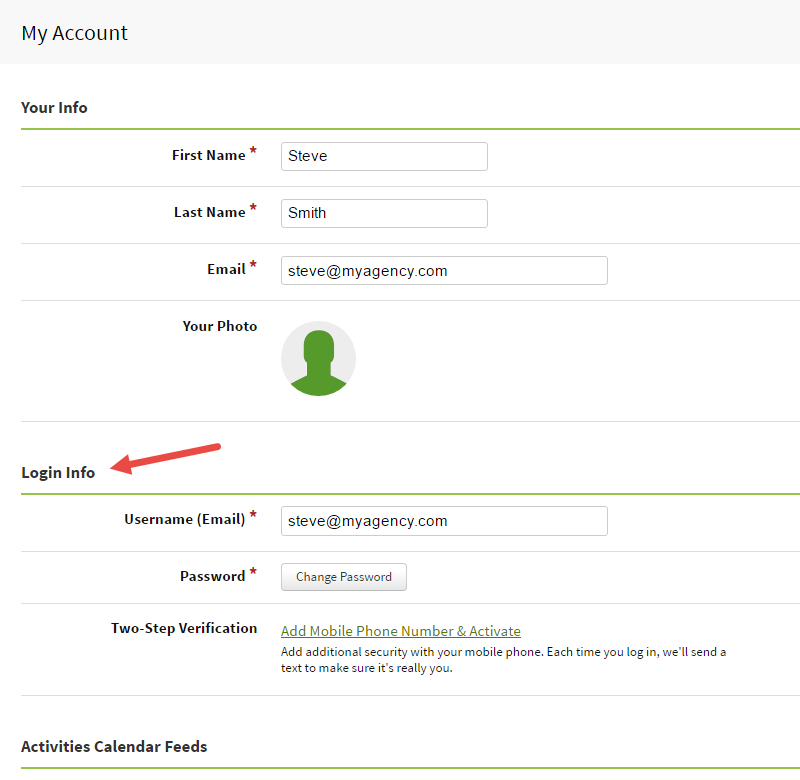 Below are instructions to help you in updating your login info. Located under Profile & Settings Icon. Go to the Login Info section in My Account. You'll find your username and password in the Login Information section at the top of the page. Change your username or password. Username: Enter the updated info in the username field, then select save at the bottom of the page. Password: Click the Change Password button. Complete the form to change your password and you're all set! Creating passwords that are memorable and strong can be a challenge. It’s not as simple as thinking through random combinations of letters, numbers, and symbols. You’ll see a password strength indicator to let you know the strength of your password. Additionally, you’ll see tips about the password you are entering to help you create a stronger password. If you're unable to log in, you can request a password reset here using your username/email address. If you don't get an email from us within a few minutes please be sure to check your spam filter. The email will be coming from no-reply@agencybloc.com.